Extraordinary parallel and well defined crystal growth of this extremely rare borate. 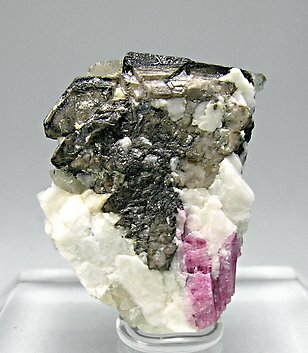 In the same sample the Schiavinatoite is accompanied by Elbaite (Rubellite), Danburite and smoky Quartz. The specimen is from a recent find (2008) in the same region as the Type Locality.